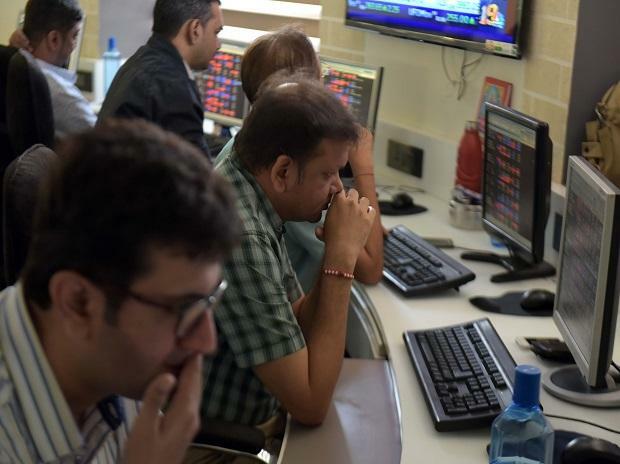 At 08:33 am, Nifty futures on Singapore Exchange, an early indicator of Nifty50's performance, were trading 34 points or 0.30 per cent higher at 11,508 levels. Mindtree: The Mindtree founders are reaching out to top clients and engaging with key institutional investors to fend off attempts by engineering major Larsen & Toubro (L&T) from making a hostile takeover bid, according to a Business Standard report. SpiceJet: SpiceJet, which has been hit by the ground of 13 Boeing 737 MAX planes, is lookin to secure used Boeing 737 Next Generation aircraft from Jet Airways to maintain its expansion plans. Grasim Industries: The income-tax (I-T) department has slapped a hefty tax demand notice on Aditya Birla group firm Grasim Industries, asking it to pay Rs 5,872 crore on account of the dividend distribution tax on Aditya Birla Capital shares that Grasim received after the demerger of Aditya Birla Capital from Aditya Birla Nuvo. Jet Airways: The airline has suspended services to Abu Dhabi and slashed the number of flights to Dubai till March-end. According to a notice from Etihad Airport Services, the airline has cancelled all its flights from Monday for operational reasons. It has also stopped Delhi-Dubai flights. Jammu and Kashmir Bank: The lender on Sunday said it proposes to sell its stake in PNB Metlife India to private equity player Oman India Joint Investment Fund II for Rs 185 crore. Maruti Suzuki India: According to a report by Business Standard, the automaker has decided to cut production by a quarter over March last year. DHFL: Global private equity major Warburg Pincus Group will acquire nearly 80 per cent stake in education NBFC firm Avanse Financial Services from Dewan Housing Finance Corporation Ltd (DHFL) and Wadhawan Global Capital. SAIL: The firm's long-term loan facility has been assigned AA- outlook stable. Cadila Healthcare: Zydus has received final approval from the USFDA for Valsartan and Hydrochlorothiazide tablets. Zuari Global: The firm has acquired around 48.98 per cent shares of Forte Furniture Products India Private Limited (FFPL) from Indian Furniture Products Limited (IFPL), subsidiary of the company. Karnataka Bank: The bank has announced a partnership with Karvy DigKonnect for contact centre services. Kesoram Industries: CARE Ratings Limited has revised the ratings for the company's long term/short term banking facilities to BB+/ A4+ Inox Leisure: The company said it has commenced commercial operations of four additional screens in the existing Multiplex Cinema Theatre at Inorbit Mall in Malad.